When I was learning how to make seafood recipes, I did not realize what a large variety there is. Sorting out my best recipes distinguishing between fish and seafood has been a major task for me. After all I am no fisherman so I never think about the difference. I only know what fish I think taste good and how to cook it. The best way for me to divide these two is whether they are freshwater fish or saltwater fish. Even then, it is not that simple! For instance, I am told that mussels can be freshwater or saltwater. Shrimp, which are normally saltwater, are now being raised some places in freshwater. As I was learning how to make seafood recipes, I found one of the most popular is the tuna. There are nearly fifty varieties of the tuna fish like the albacore, yellowfin, blackfin and bluefin. The ways of how to cook tuna are endless from grilled to delicious casseroles and salads. Mahi Mahi or Dolphin and salmon are among my favorites. I like these grilled with no sauces or additives. The flavor is so good that anything added distracts from the flavor. Shrimp is also another favorite of mine. The common varieties of shrimp are pink, brown and snapping shrimp. They come in different sizes which work well in the different shrimp recipes that you make. Recipes that use shrimp are my favorite seafood recipes. One of my brother home from the Army was the first person to introduce me to this culinary delight. Shrimp was not common in the grocery stores when I was growing up. Sauté spinach and half of garlic in 2 tablespoons melted butter. Season spinach with salt and pepper; set off heat but keep warm. In another skillet melt 2 tablespoons butter; add shrimp and green onion. Cook and stir shrimp only until done (translucent). Add capers, lemon juice and white wine; serve immediately over spinach. NOTE: Serve with cooked spaghetti or noodles for a more filling meal. Swordfish, flounder, halibut and sea bass are also delicious tasting fish and make some of the best seafood recipes. The swordfish is large so is often sold in steak form. It is firm and is great cut in chunks and served in salads. 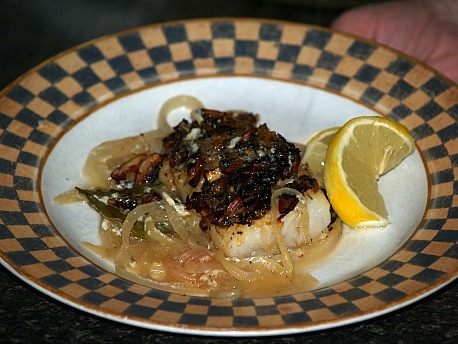 Sea bass and halibut also have a firm texture and delicious flavor. Flounder is mild in taste and an all round good fish for many recipes. Lobster is the favorite seafood of many. I never acquired the habit of eating lobster because all my life it was known as the seafood for the rich. Since my family was never rich, we never had lobster included in our menu. Crab is one very versatile product of the sea. Best seafood recipes range anywhere from crab legs to a variety ways of making delicious crab cakes. Oysters, mussels and scallops round up the list of most favorite seafoods. Again there are a variety of ways to serve these. Preheat oven to 350F degrees; place scallops in 4 individual baking dishes. Season shrimp with lemon juice, pepper, celery salt and melted butter. Bake for 15 minutes; remove from oven and pour off excess juices. Place slices of cheese on top of scallops; place under broiler until cheese bubbles. Garnish with sprigs of parsley and sprinkle with paprika; serves 4. I have always wanted to learn to fish and still hope to when I can find the time. I love good fresh fish for my best seafood recipes so I think it would be wonderful to catch my own fresh fish. Since I don’t fish, I have found a great supplier from which to order. People who say they don’t like fish or it taste too fishy, it is because they have never eaten good seafood. If you are one of those who do their own fishing, I have been given some tips to pass on to you. These tips are for you if you plan to freeze your fish. These steps will help keep the fish from becoming fishy or drying out and will keep your fish nicely frozen for up to six months. Proper care of fish is not much different than the care needed in handling any other type of meat. For a quality fish product to serve for dinner it must be cared for as soon as it is caught. Freeze as soon as possible. Many people tell me they freeze fish in containers (like milk cartons) with water. They say they fish taste better after a longer period of time. Combine orange and lemon juice; pour over salmon in a marinating dish. Combine sugar, orange peel, cumin, cinnamon, salt and pepper in small dish. Rub sugar mixture over both sides of the salmon; bake about 10 to 15 minutes until salmon is opaque. Place onion slices and bay leaf in shallow baking pan. 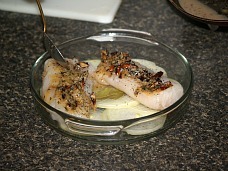 Season fish fillets with salt, pepper and thyme; place on top of onion slices. In small skillet brown almond slivers lightly in oil; add grated onion, lemon rind, parsley and wine. Dissolve bouillon cube in hot water and add to sauce; pour over the fish. Bake in preheated oven at 350F degrees for 30 minutes. Serves 4. Learn how to make seafood recipes in casseroles. This is delicious! Sauté shrimp and scallops in 4 tablespoons butter for 3 to 4 minutes until tender. Place haddock in saucepan with a small amount of water; steam for 3 minutes until tender. 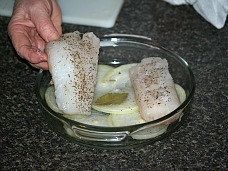 Cut haddock into bite size pieces; set aside. In saucepan melt remaining 8 tablespoons butter; Add flour and evaporated milk. Stir in beef stock; cook and stir over medium heat until thickened. Blend cornstarch with 1/3 cup of milk. Add milk mixture plus remaining ingredients EXCEPT sherry into the sauce; mix well. 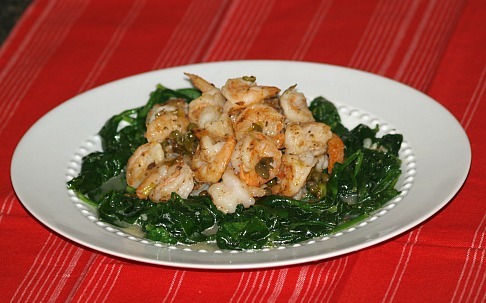 Stir in sautéed seafood and sherry; pour into a buttered casserole dish; bake 30 minutes. Make seafood recipes using canned crab and shrimp. Preheat oven to 375F degrees; butter 1 large casserole baking dish or 6 small baking dishes. Combine in medium saucepan the butter flour milk, salt, pepper and cayenne pepper. Stir and cook over medium heat until thickened; remove from heat. Stir in beaten eggs and cheese; stir until cheese is melted and blended. Stir in crab meat and shrimp; pour mixture into prepared dish (Or dishes). Bake until lightly browned and well heated 15 to 30 minutes (Time varies on size).